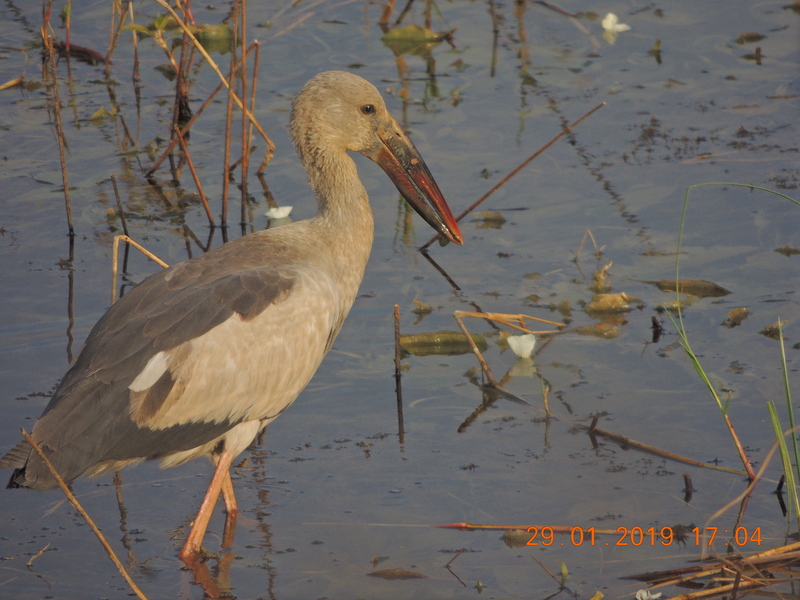 Asian Openbill is a small stork with conspicuous gap in its bill, allowing the bird to catch its preferred food, the freshwater snails. Adult has white plumage in breeding season, and pale grey for rest of the year. Scapulars, flight feathers and tail are black. Head is white or grey. The open bill is formed by a hollow in the lower mandible. Both mandibles meet at tip.